Proteins and the macromolecular complexes they form are the effectors of cell biology. Studying cell biology therefore requires the ability to isolate distinct proteins along with other constituents of their associated macromolecules. Affinity capture techniques have greatly facilitated the discovery, purification, and characterization of endogenous protein complexes. These techniques leverage reagents able to target and capture proteins of interest assembled with physiological binding partners, from cell extracts. Although affinity capture has matured steadily as an approach, many technical shortcomings still limit its efficacy in the retrieval of intact, endogenous macromolecules. We address these challenges and develop mass spectrometry-based, affinity proteomic techniques for interactome mapping. We place special emphasis on approaches that also enable downstream structural and biochemical studies of purified macromolecules. Long Interspersed Nuclear Element 1 (LINE-1, L1) is a retrotransposon. As a result of its “copy and paste” method of proliferation, L1 activity has contributed a large proportion of DNA to the human genome (including those sequences mobilized by L1, such as Alus). Since the insertion of new DNA sequences into the genome is inherently mutagenic, understanding the lifecycle of L1 is crucial to understanding human genome dynamics and cell biology. L1 DNA proliferates through an RNA intermediate whose protein products bind the L1 RNA to form a ribonucleoprotein (RNP) complex. 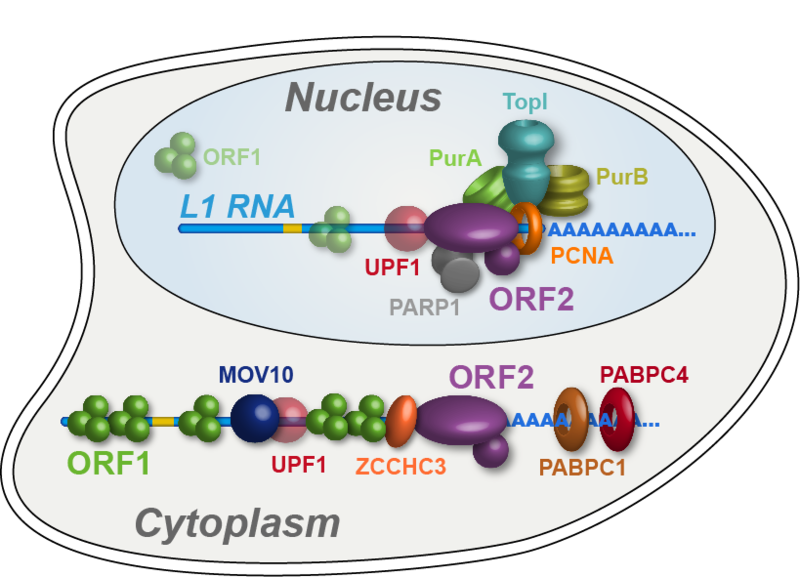 L1 RNPs also co-opt and contend with a variety of host factors that facilitate or repress L1’s ability to reach the chromatin and reintegrate into the genome. Thus, different subpopulations of L1s consist of different assortments of constituents, depending both on the subcellular compartment and on the pathway being traversed (proliferation or repression). 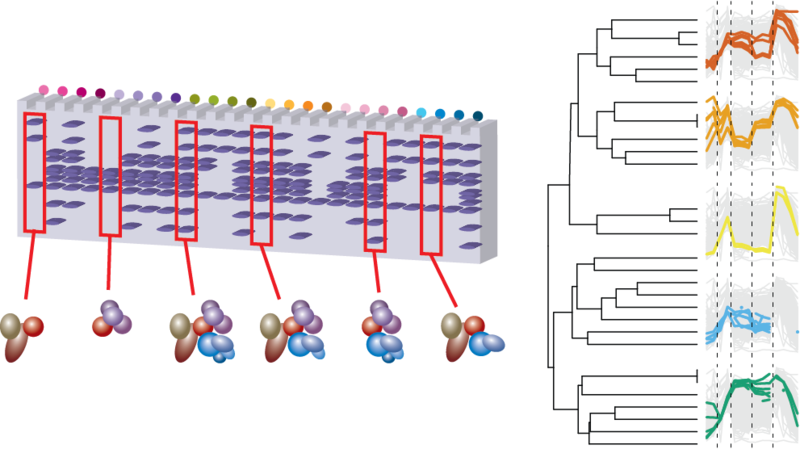 We develop methods to expand our breadth of knowledge concerning the L1 interactome, and we study the structural and biochemical properties of L1 RNPs. The RNA exosome is a macromolecular complex comprising endo- and exoribonucleases. It is an essential component of the RNA-metabolism machinery in eukaryotes, functioning in the accurate processing of precursors to mature RNAs and in RNA turnover. The exosome is active in both the nucleus and the cytoplasm, and depending on the subcellular compartment where the exosome is active, the constituents of the complex and associated adapters vary – yielding a collection of distinctive subpopulations in vivo. We focus on the discovery, purification, and characterization of endogenous human exosomes and their cofactor complexes.